I try to avoid shopping at Walmart whenever possible, not necessarily because of sociopolitical reasons, though my aunt did work there she described it as one step above indentured servitude. The reason I try to avoid Walmart is because NO ONE is helpful and it is difficult to find what I want. Also, I swear that on Sundays there is a bus that cruises around my town picking up mutants and zombies, then delivers these creatures to Walmart. The retail giant has just announced that the company is getting into the auto insurance business and is entertaining taking a stab at banking. Having both insurance and loans at their disposal, Walmart could try auto-sales. They have thousands of locations already established across the country. They have the capital to buy large plots of land. They already have service bays that can be expanded. Many of them have gas-stations on premises. They already have fleet of trucks that can reduce transport costs. They can sell "inexpensive" brands to sub-prime buyers using their own banks. Here in NJ I can get to pretty much any car-dealership or shopping center within a very short drive. But in some areas of the country going shopping for groceries or a vehicle is a several hour drive. For some families a trip to Walmart is a whole-day event. Having an dealership that is both "convent"
Walmart already employs millions of workers many of which have little education and thus find it difficult to get more lucrative jobs. Car sales doesn't require a college degree and though it is not easy, the potential is there for some people to work their way out of minimum wage. 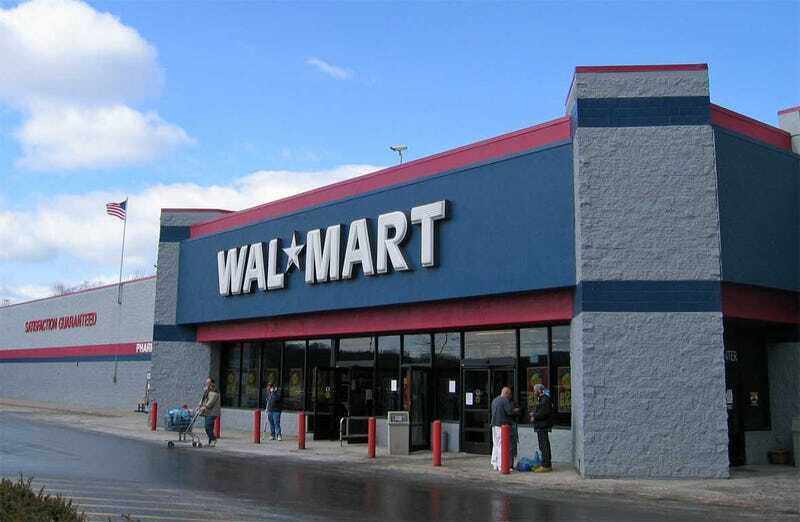 Walmart's effect on local businesses has been covered in numerous publications. Often small-town "mom and pop" retail stores simply can't compete with Walmart on price and many of them go under. I don't think a Walmart dealership will deal that kind of blow to local car-dealers. However, I have encountered small town car-dealers that have little competition in the area that be very reluctant to move on price because they are the only game in town. For those credit-challenged customers mentioned above, this lack of competition means they have to pay top-dollar. A Walmart dealership could force these local dealers to compete...or perish. Because Walmart buys products in such insane volumes they can actually dictate the price at which they buy them. For example, Rubbermaid makes a container to sell at 12.95, Walmart says "We are going to buy a billion of them, we want it for 9.95." Rubbermaid will give them that container for 9.95. Imagine if Walmart went to Kia Motors and said, "Last year you sold 66k Fortes. For 2014 will buy 40 thousand units but we want them at a 14k base price instead of 15,900." Would Kia do it? I'm not sure, but seeing that kind of leverage play-out in the auto-market would be interesting. As of now the dealerships are worried about Tesla. Could you imagine the freak-out of Walmart jumped into the game? Of course creating a chain of car-dealerships is both expensive and a complicated logistical process. But Walmart already has both the investment backing and infrastructure to do it. Despite my hatred of the retail store, I can't imagine Walmart auto sales being much worse that many of the dealerships I encounter on a daily basis. Will we see Walmart Auto Superstores in the near future? Probably not, but if it does happen within the next 10-15 years...just remember you read it here first. What do you think, could Walmart dominate auto-sales like they do groceries and other goods? Could this large scale competition actually benefit consumers?